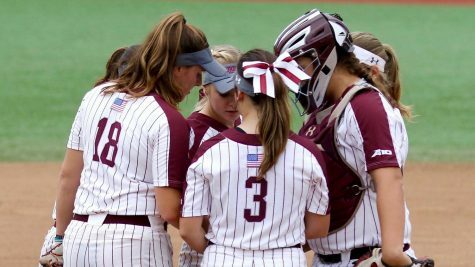 Fordham Softball was 15-1 in Atlantic 10 play before this weekend, but a sweep to UMass has dropped them in the A10 standings (Courtesy of Fordham Athletics). 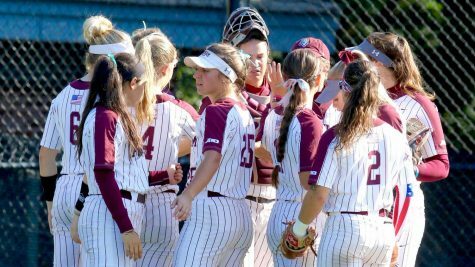 After winning 18 of 20 games (including 12 straight), Fordham’s torrid streak came to an end this weekend at the hands of Massachusetts, losing all three games of the series to fall to 27-20 on the year. The Rams were slated to host Delaware last Wednesday, but the doubleheader was cancelled due to inclement weather. No make-up date is scheduled at this time. 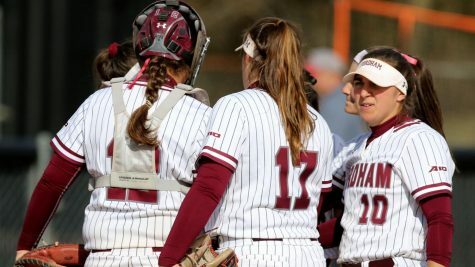 Over the weekend, Fordham fell to Atlantic 10 foe UMass in three consecutive contests – the first time an opponent swept the Rams at home since 2002. 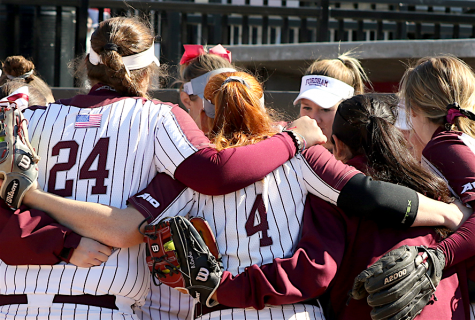 On Saturday, Fordham lost both games of the doubleheader. In the matinée, the Minutewomen defeated the Rams, 9-5, despite home runs from sophomore Skylar Johnston, senior Madi Shaw and junior Chelsea Skrepenak. 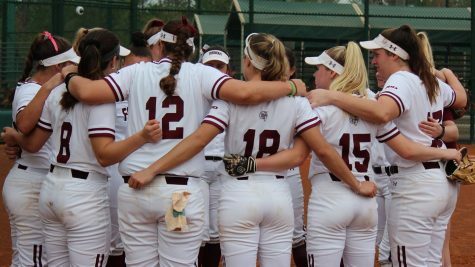 Freshman Paige Rauch dropped to 13-2 after her start lasted just four innings in which she allowed seven runs – only three of them earned. Freshman Anne Marie Prentiss allowed two runs over three innings of relief. In the latter half of the doubleheader, Massachusetts held on for a 6-2 victory. Graduate Lauren Quense took the loss in the circle for the Rams, pitching a complete game but falling to 2-10 in the process, yielding six runs – only three of them earned. Shaw provided the Rams’ only offense, blasting a two-run homer in the sixth inning. 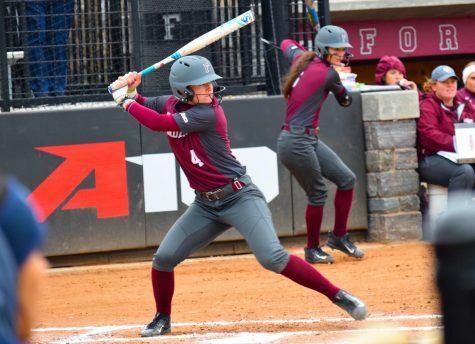 Finally, on Sunday, UMass used a five-run fifth-inning rally to fuel their 5-3 comeback win. The Rams built a three-run lead in the first four innings on small ball, with bases loaded walks, infield singles and wild pitches bringing runs across the plate. 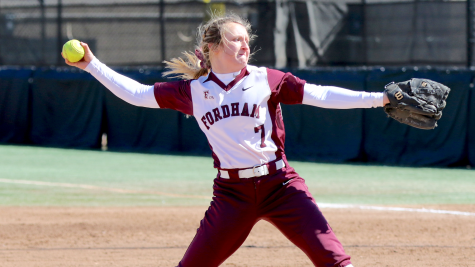 Sophomore Madie Aughinbaugh went all seven frames for Fordham but allowed five runs to cross in the fifth with a home run, error, walk, singles and sacrifice hits pushing across a handful of tallies for the Minutewomen. 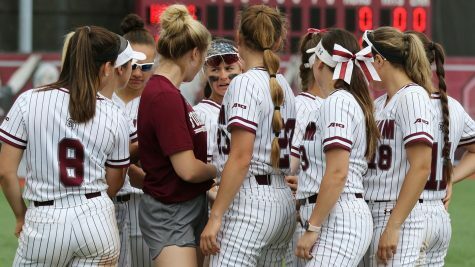 The Rams could not muster any more offense, and as a result, fell to 15-4 in A-10 conference play, thus dropping further behind UMass 19-0 in the standings. Nonetheless, there were some positives and memorable moments to take from a disappointing weekend. Prior to the final game of the series on Sunday, Skrepenak was sworn in to the US Army. 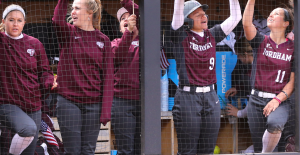 Skrepenak is in the midst of a remarkable junior year on the diamond, as she has set career highs already in hits (44), runs (34), home runs (six), RBIs (29) and stolen bases (eight). She leads the team in batting average (.336) and has played terrific defense in center field, with a .945 fielding percentage and just four errors in 45 games played. 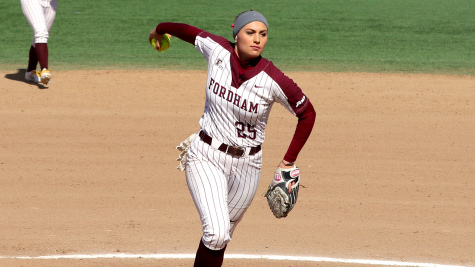 In her third year as a starter, she has played in 157 of a potential 170 matches in her Fordham career. 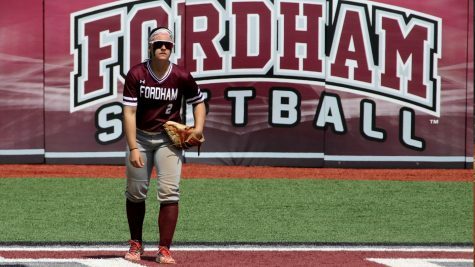 A cadet the past two years in the Fordham ROTC program, Skrepenak took the ceremonial oath of office in a pregame ceremony that moved her father to tears, and she hopes to one day become a JAG officer. She will become 2nd Lieutenant upon graduating next year. The Rams will travel to Queens, NY to take on St. John’s on Wednesday before facing La Salle at Bahoshy Field in a three-game series to close out the regular season.